Man Turns Himself In After Killing Imaginary Friend. 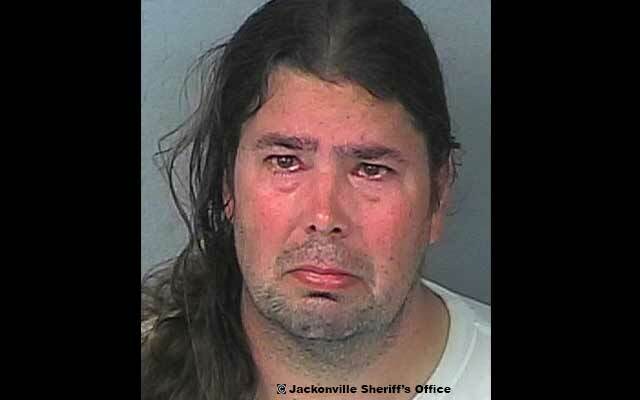 Geoff Gaylord, 37, entered the Jacksonville Sheriff’s office and turned himself in for killing his imaginary friend Mr. Happy. Gaylord told police officers that he had stabbed Mr. happy repeatedly with a kitchen knife, cut up the body with a hatchet and buried the victim in his backyard. Gaylord said he killed his imaginary friend of seven years for multiple reasons – one, for being messy. Gaylord said he and Mr. Happy had grown very unhappy in their relationship and hadn’t had a “real conversation” in at least a year. The breaking point came when Mr. Happy allegedly crashed Mr. Gaylord’s Nissan Altima after the friends had been out celebrating Mr. Happy’s birthday at Hooters, which resulted in Mr. Gaylord being arrested instead of Mr. Happy. Police said Gaylord was extremely intoxicated and threatened to kill police after they told him they could not give him the death penalty for his crime. Police took Mr. Gaylord into custody and obtained a search warrant for his house where they found drug paraphernalia and a machine gun. Gaylord was booked on multiple charges. Bail has not been set.